It’s Official: Spring Skiing Season is Here! The days are longer, the sun is shining and the weather is warmer. What’s not to love about spring skiing? The Spring Equinox is coming up, and that means spring skiing is right around the corner. The official indicator of the beginning of spring, the Spring Equinox lets us all know that it’s time to bust out our spring skiing gear (and attitudes). There are many reasons to love spring skiing, but the important thing is to just get out there and enjoy it. If you’ve got a quiver, now is the time to use it. The longer spring days will give you ample time to switch out skis over the course of your ski day, letting you change up your ride whenever you feel. Bust out some twin tips and go for some park runs, or get on something a little more rigid and carve some killer turns on the snow pack. A simple change of skis can reinvigorate your day and make old runs feel new. Which leads us to…. Take the time to explore the entire mountain; you never know what unexpected run could end up being your favorite. Many of the larger mountains out west have more than enough runs to keep you occupied throughout the day. Veer off course and explore some runs you’ve never been on. There are plenty of skiers out there who prefer to always hit their few favorite runs, but end up missing out on some awesome terrain they’d love in the process. Spring skiing affords you the time to hit some of the tried and true while also discovering new favorites. Don’t make the mistake of thinking some runs are beneath you either. You might find that a run you’ve never been on actually has some fun features or sections that even expert skiers can enjoy. Been meaning to learn to ride switch but haven’t wanted to spend the valuable ski time to do so? The spring is the perfect time to try to add some additional abilities to the arsenal. The more laid-back pace of spring skiing is fitting for goofing around and trying your hand at things you wouldn’t dare attempt on a February powder day. And with the season almost over, if worse comes to worse and you do hurt yourself at least you won’t miss much, right? If you’ve ever thought of trying out snowboarding, spring is the perfect time to give it a go. The snow is soft and forgiving, and the longer days give you plenty of time to rip in the morning on your ride of choice and then still get some practice in in the afternoon. You may think there’s no reason to learn how to snowboard, but it can be a fun way to challenge yourself if things have gotten stale. And maybe, just maybe, you’ll learn to love snowboarding too. You’ll want to be prepared for such a long excursion on the mountain. Stash some snacks in your jacket pockets so you will have the energy to ski all day long. This will also make it so you don’t have to stop in to the lodge for food as much, keeping you on the mountain longer and more money in your wallet. Warm weather, sunshine and long days on the mountain; the Spring Equinox signals the beginning of spring and all the fun that comes with it. However you spend your spring skiing day, make sure to make the most of it. Taking a spring skiing trip this year? Check out some of our favorite spring skiing destinations this year. 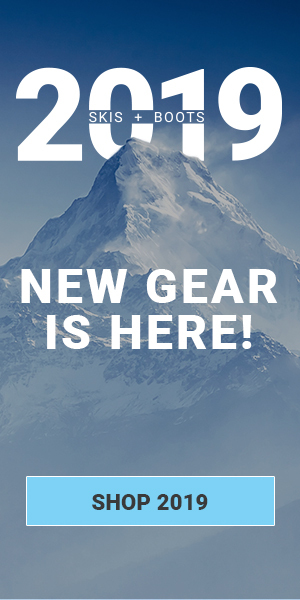 Be sure to grab some gear for your trip with some late-season deals on ski equipment and apparel for men and women.